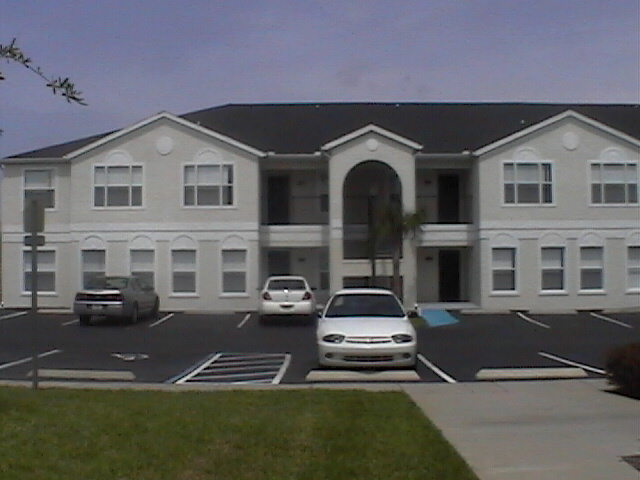 This is a 3 bedroom 2 bathroom condominium built in 2004 located only 5 miles from the entrance of Disney. 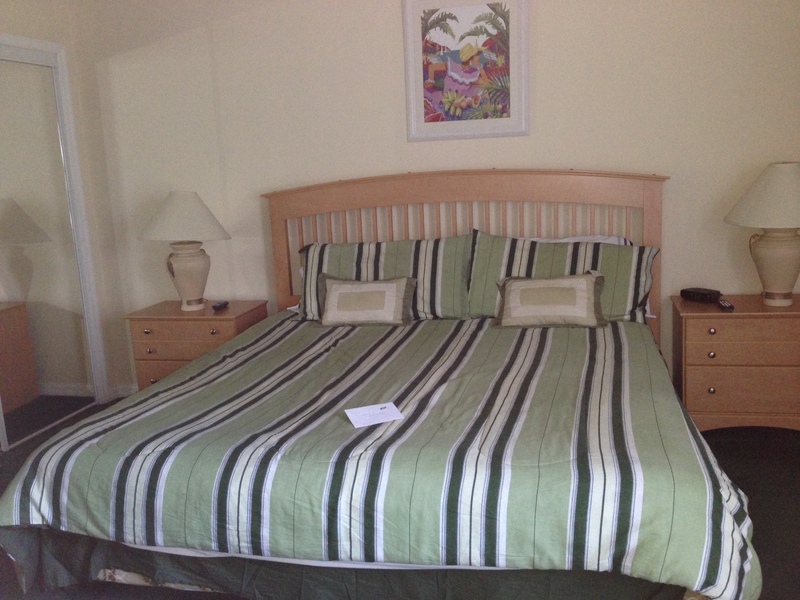 The master bedroom has a king-size bed,TV and private full bathroom. 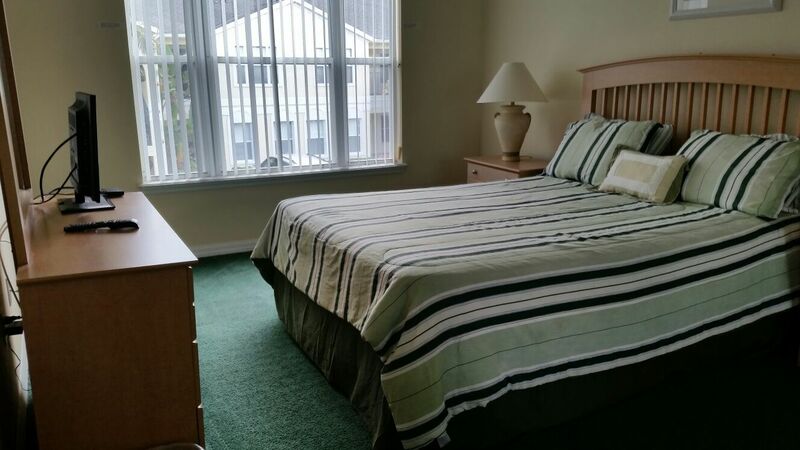 The #2 bedroom has a queen-sized bed. 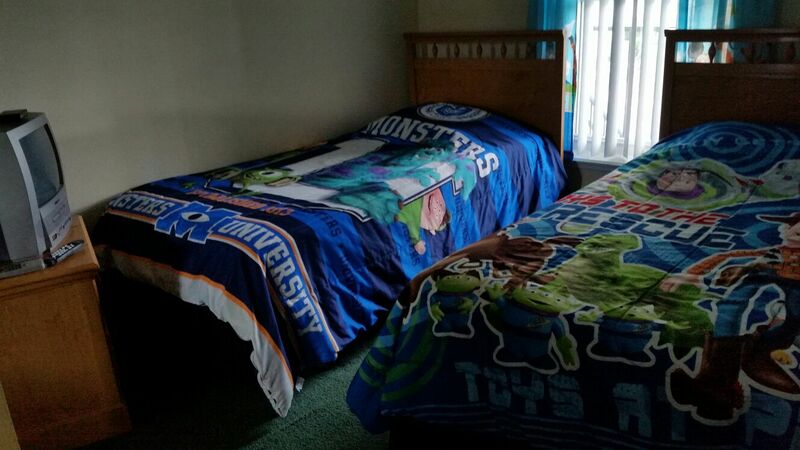 The #3 bedroom has 2 twin beds. 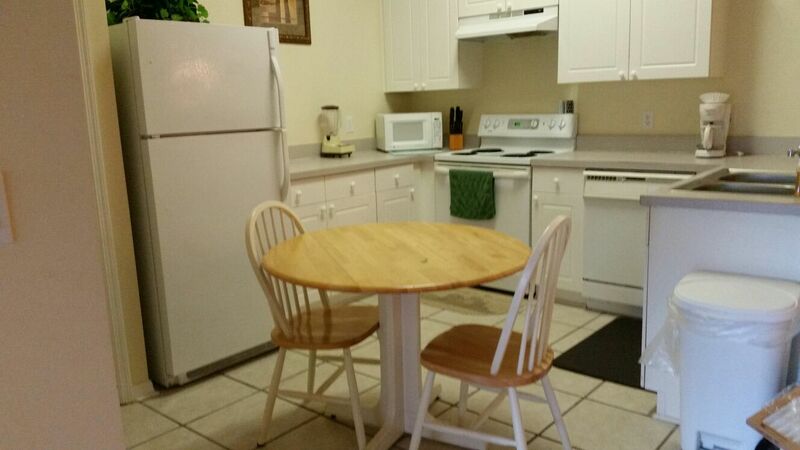 The kitchen is fully equipped with all eating and cooking utensils including all of the small appliances such as a blender, toaster, coffee maker, microwave etc, dishwasher, also has small round table with 2 chairs. Lounge has TV/VCR three seater sofa bed and 2 seater sofa,it has beautiful lamp, pictures and other decor. Dinning area with glass iron base table and six heavy iron base chairs. Dryer and washer in closet in kitchen area. Need some fresh air? Step outside into the screened-in patio with table and chairs. 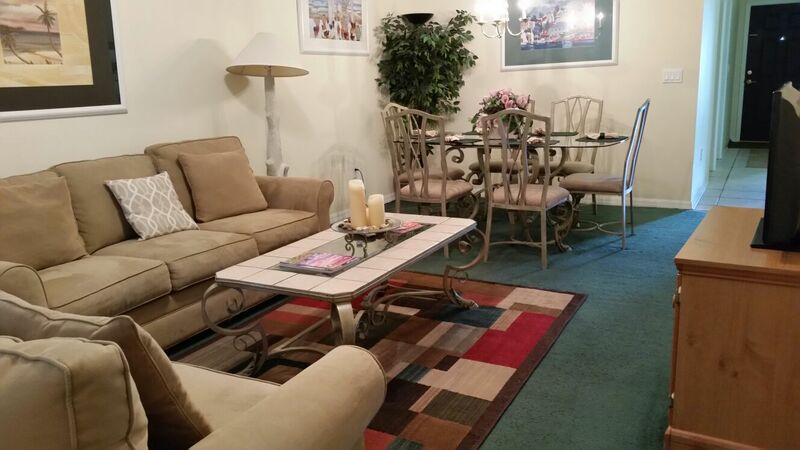 Just a few steps and your standing at the entrance to the tennis court and gorgeous heated pool and hot tub. For you golfers, we are in the heart of it all. 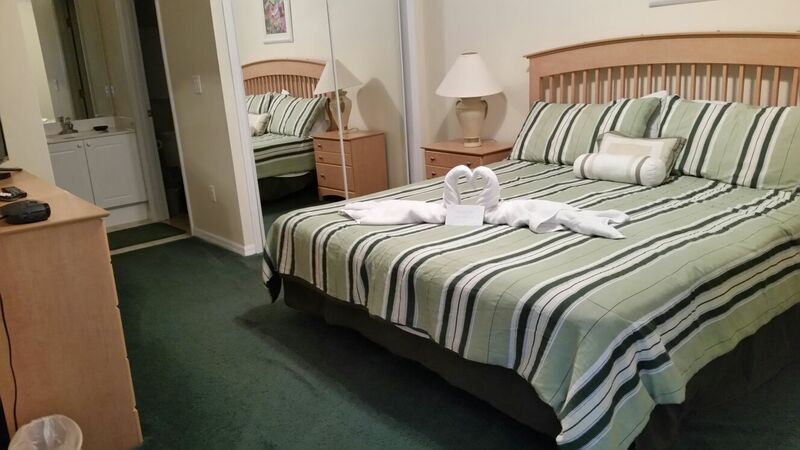 Grand Palms Kissimmee offer a perfect home base for relaxing after fun-filled days at Orlando amusement parks and attractions. 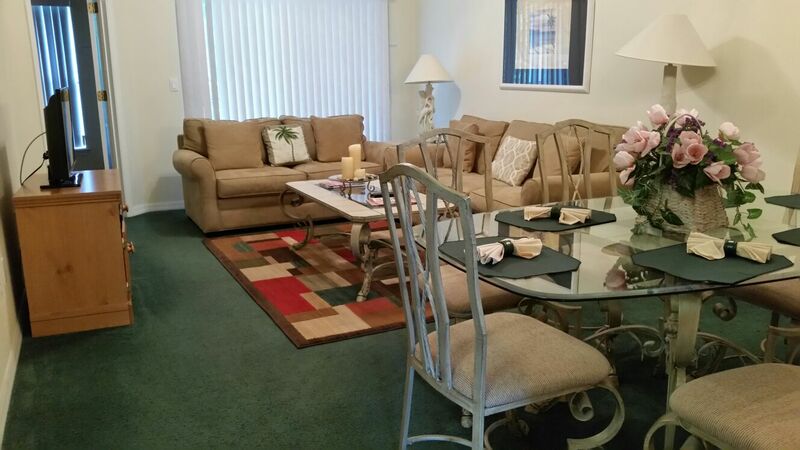 With plenty of room for your family or group of friends, Grand Palms condominiums are close to Kissimmee restaurants, great shopping, golf courses, and everything you’re traveling to Orlando to enjoy. 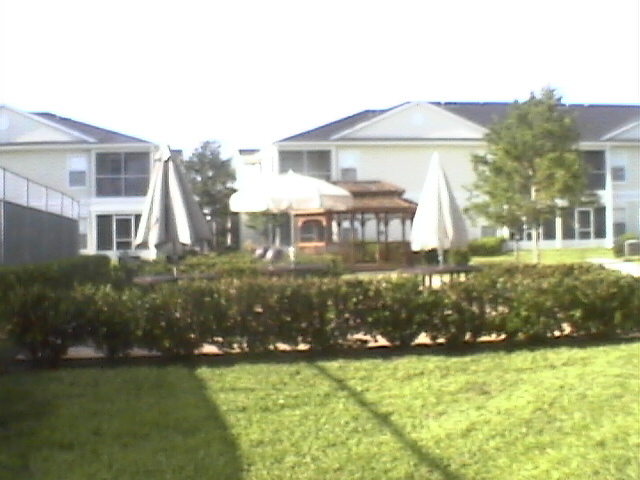 In the Grand Palms Kissimmee resort, enjoy the large, heated swimming pool, tennis courts, clubhouse and outdoor gazebo picnic and bbq area. Orlando 4 Villas offer a great selection of Kissimmee vacation homes for your Disney vacation; choose the perfect Kissimmee lodging in Grand Palms and plan your getaway today. Orlando4Villas opinion, Grand Palms, Kissimmee offers much for the family coming on vacation to the Orlando / Kissimmee area. Grand Palms A warm destination year-round, Orlando teems with attractions, golfing, spectacular beacheA warm destination year-round, Orlando teems with attractions, golfing, spectacular beaches Orlando4Villas has the large selection of vacataion homes available for rent in Grand Palms.